What better city to be in than Boston for St. Patrick’s Day? Known as one of the top destinations around the country for Saint Paddy’s day celebrations, this year Boston is really going to get some attention as one of the biggest and most anticipated events of the year is ready to make history yet again in Bean Town. 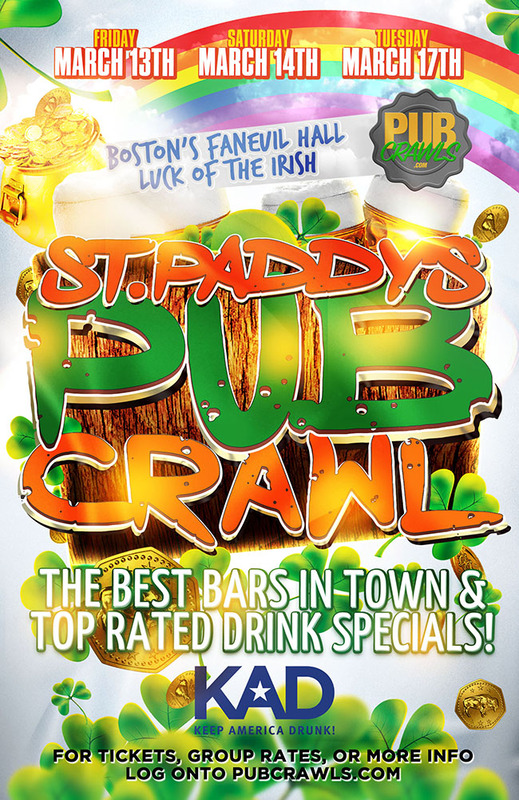 Instead of sticking to one packed bar all day long for St. Paddy’s Day, get your tickets to the official St. Patrick’s Day pub crawl! When it comes to these massive events, we’ve made history in the past and now we’re looking to recreate it by enlisting the help of some of the best bars that Boston has to offer. Get a green outfit together and have your stamina up to par because you and your friends will have a chance to see what the bar scene in Boston is all about. There’s no denying that you’ll have fun, but just how much depends on how many of these watering holes you can visit during the crawl.